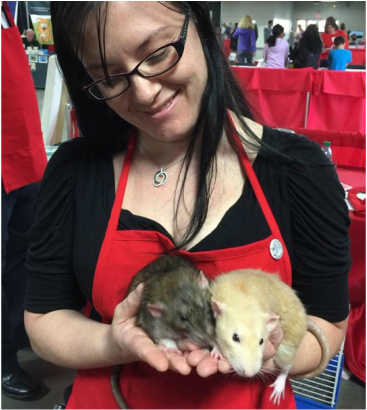 Diane Nesom adopted her first two female rats from The Peninsula Humane Society in 1998 and soon thereafter started taking in unwanted rats from local families. Before she knew it, Rattie Ratz was born and it took on a life of it's own! In 2003, she married Gavin Nesom and, together, they launched The Rat Shop. Over the years, Gavin and Diane have been working together to ensure that high quality food and products are available to the pet rat community. Despite being separated, they still work together to keep this venture going. After many rough years, Diane is now settled in Menlo Park, CA and ready to reinvest in The Rat Shop idea - again! She is no longer selling on Amazon but Teklad diets can still be purchased here.